If you want the most amazing all-inclusive fishing trip for the best price, you have come to the right place. We offer a complete Alaskan fishing package to ensure that your vacation and fishing experience is completely hassle-free so all you have to do is enjoy yourself! Expect to eat well, expect awesome fishing and comfortable lodging, and expect to enjoy yourself immensely. There will be no hidden costs or charges. With over 28 years of experience, we have an excellent reputation and will provide you with the absolute best fishing vacation every time. An enjoyable and memorable Alaskan experience! Call 1-800-770-2628 to book your next Alaskan Fishing Vacation! *Prices and taxes subject to change without notice. Book the entire lodge, with a party of 42-48 people! Non-Fishing Guests lodging with a fishing guest, are welcome at a special rate of $295 per person, per day, for their non-fishing services. This includes lodging, meals, local transportation, and amenities. Special requests for alternative lodging can be arranged for an additional fee. 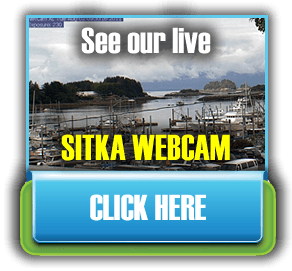 Sitka is a great tourist and hiking town and there is plenty to do if you are not going fishing. We are happy to help arrange activities and transportation for non-fishing guests. All rates are per person based on a minimum of double occupancy. 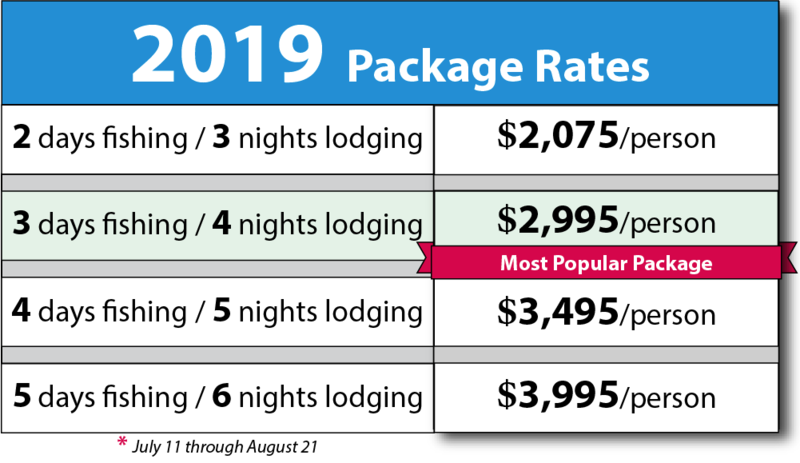 Package price does not include airfare, dinner on arrival night, trip insurance, gratuities, or applicable taxes. There is a 6% city sales tax per person. Prices and taxes are subject to change without notice. To confirm your dates for fishing, a $1,000 deposit per person is required within 14 days of the day you make your reservation. The balance is due 30 days prior to your arrival at Wild Strawberry Lodge. We recommend you make your reservations as far in advance as possible to insure your preferred choice of dates/captain/lodging. All deposits and moneys received are non-refundable for cancellations within 60 days of your scheduled trip, unless your cancelled dates can be refilled. A $250 administrative fee per person will be assessed for all refunds. Changes in confirmed reservation dates are considered cancellations and are subject to our cancellation policy. If you cancel your trip, you may choose to either receive 75% of the amount you have paid to date OR receive a credit of 100% of the amount paid to date. In other words, your total payment would be deferred to a future trip. 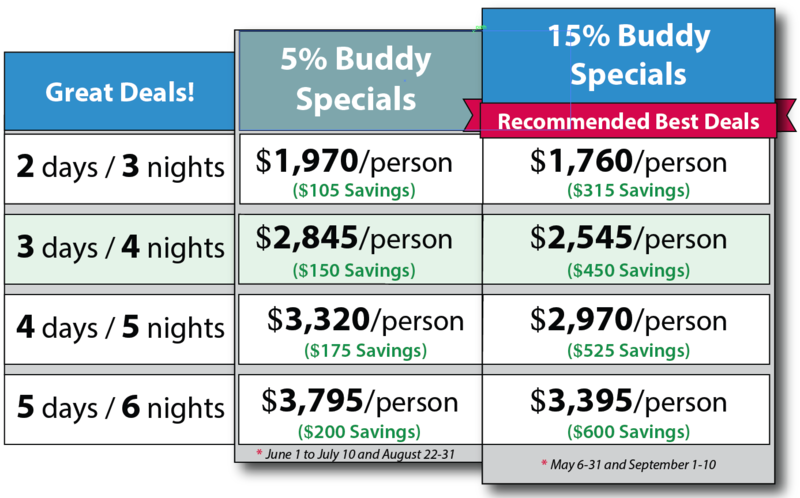 Credits may be used for a future trip in the same year or the following year. Unfortunately we cannot guarantee the same rates or the same date availability. Alaska Premier Charters, Inc. is not responsible for any emergency decisions made by Alaska Department of Fish and Game or by acts of mother nature. If you do not believe you can meet your reservation obligations, we urge you to obtain trip insurance. We highly recommend purchasing trip insurance should you have any concerns about a possible cancellation. Most trip insurance policies have to be purchased within 14 days of deposit payment. 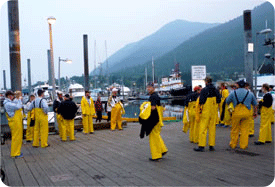 Company: Alaska Premier Charters, Inc.
What Dates are You Wanting?